When launching a session on VSee, your screen is black where your own video feed should be, and the other person cannot see you. VSee may not have properly connected to your front camera. You can prompt VSee to look again for your front camera by switching to the back camera, and switching again to the front camera. 2. 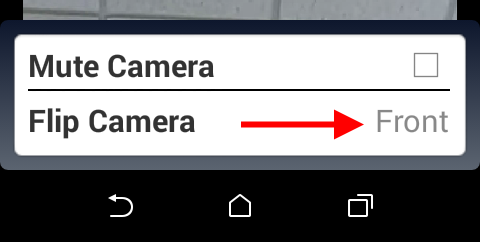 In the "Flip Camera" section, tap on "Front" to switch to the back camera. 3. Then tap on "Back" to switch again to the front camera. If this doesn't resolve the issue, try swiping VSee out of your background applications, and start the session again.